“IT is better to look good than to feel good,” the Argentine actor Fernando Lamas once remarked. He could have been talking about Buenos Aires after its 2002 peso crisis. 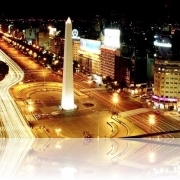 The financial meltdown emasculated the Argentine economy, but it also made Buenos Aires, the expensive cosmopolitan capital, an attractive and suddenly affordable destination. Now largely recovered from “La Crisis,” the city is being energized by an influx of tourists, expatriates and returning Argentine émigrés, and its glamorous night life and conspicuous consumption have reached a fever pitch. While inflation is now reappearing, Buenos Aires, at least for the moment, not only looks good but feels that way too. For a fascinating peek into Buenos Aires’s history, start at El Zanjón de Granados(Defensa 755; 54-11-4361-3002), a 175-year-old mansion that leads to a series of underground tunnels that go back to the city’s early settlements. 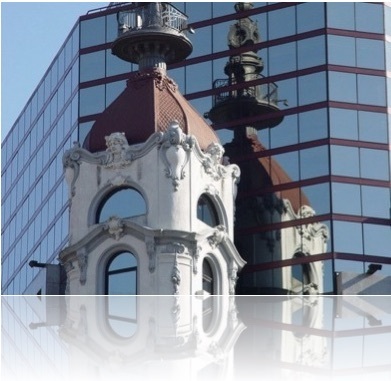 (The city was founded in 1536.) Now a museum, El Zanjón offers intriguing one-hour tours (20 pesos, or about $6.30 at 3.16 pesos to the dollar) through a cross section of the city’s archaeological layers. 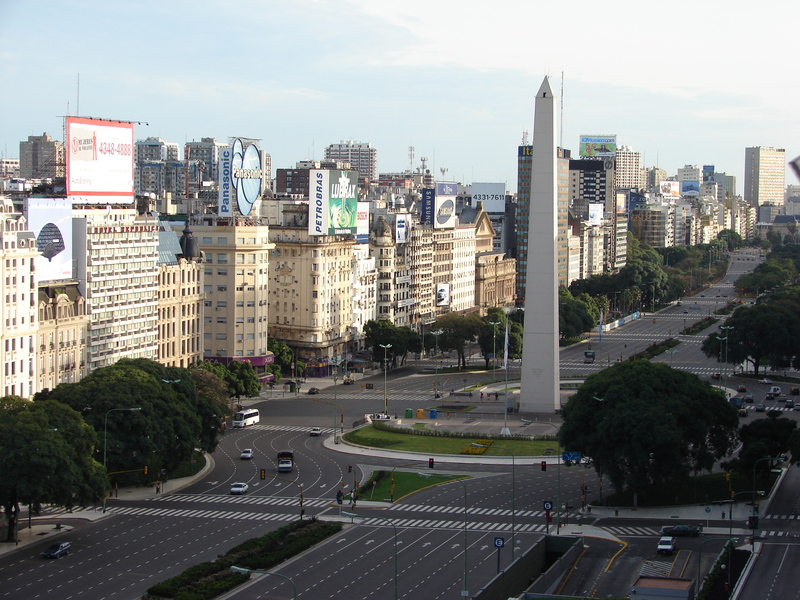 Explore present-day Buenos Aires in the cobblestoned district of San Telmo. While best known for its weekend antiques market, the neighborhood now has plenty of cool shops and restaurants. The ice cream parlor Nonna Bianca (Estados Unidos 407; 54-11-4362-0604) balances rustic Patagonian décor with adventurous flavors like kumquats in whiskey (small cone: 3 pesos). San Telmo is also home to a growing gallery scene including the swank Wussman Gallery (Venezuela 574; 54-11-4343-4707; www.wussmann.com) and Appetite (Chacabuco 551; 54-9-11-6112-9975; www.appetite.com.ar), which specializes in punk-rock-style art. More than a third of Argentina’s population is of Italian descent, and Guido’s Bar (República de la India 2843; 54-11-4802-2391) fulfills all the Little Italy tropes, from “Volare” on the stereo to the New York City skyline on the ceiling. 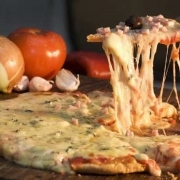 But the crowd is Argentine and the food is varied and tasty. There is no menu and after one question — “Red or white?” — the waiters bring a seemingly random assortment of plates, like a cold appetizer of spinach and red bell peppers in a paprika mayonnaise sauce, followed by Spanish tortillas, stuffed eggplants, penne in red sauce and pignoli nuts. How the waiter figures your bill (45 to 60 pesos a person) remains a mystery. The spirit of Carlos Gardel, the godfather of Argentine tango, lives on in the Almagro neighborhood, where Bar 12 de Octubre (Bulnes 331; 54-11-4862-0415; www.barderoberto.com.ar) offers weekly music shows. Started in the mid-90s when the famed tangoist Roberto Medina stopped in to play a few songs, the shows run Tuesday to Friday nights between 11 p.m. and 3 a.m. Arrive early to get a good spot, before the crowds of tattooed 20- and 30-somethings jam the tiny, grungy space. 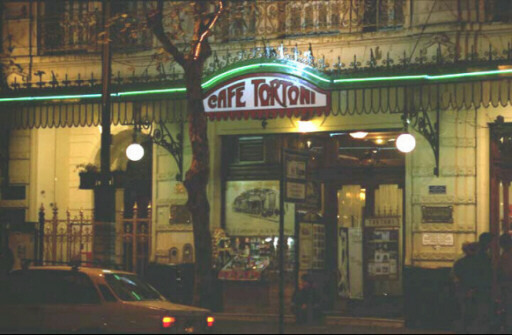 With its prime location and literary clientele that included Jorge Luis Borges, Café Tortoni(Avenida de Mayo 825; 54-11-4342-4328; www.cafetortoni.com.ar) is the most famous of the cafes from Buenos Aires’s belle époque. But more magnificent is Las Violetas (Avenida Rivadavia 3899; 54-11-4958-7387; www.lasvioletas.com), a 123-year-old French-style cafe. After closing briefly in the late 1990s, Las Violetas’s interior, including its gorgeous stained glass, has been restored. The white-jacketed waiters serve the classic breakfast of café con leche with three croissants (5.40 pesos), but the shocker of the menu is the María Cala tea service, an eye-popping pile of cakes, scones, finger sandwiches and pan dulce pastries (29 pesos for three people). 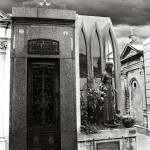 To most visitors, the Recoleta Cemetery in the upscale Recoleta district (intersection of Junín and Guido) is known as the place where Eva Perón’s body is buried. But the graveyard is also the final home of several presidents, scientists and other influential Argentines. To marvel at Argentina’s longtime obsession with horses, head to the Hipódromo Argentino de Palermo (Avenida del Libertador 4101; 54-11-4778-2800; www.palermo.com.ar; entrance fee 5 pesos). Opened in 1876, the elegant racetrack has a French neo-Classical grandstand, the Confitería París restaurant and a basement casino. For up-close action, sit at the wooden tables that dot the flowery lawn. There are 10 race days a month. Malba, short for Museo de Arte Latinoamericano de Buenos Aires, is considered to have one of the finest Latin American art collections in the world (Alcorta 3415; 54-11-4808-6500; www.malba.org.ar; entrance fee 12 pesos). 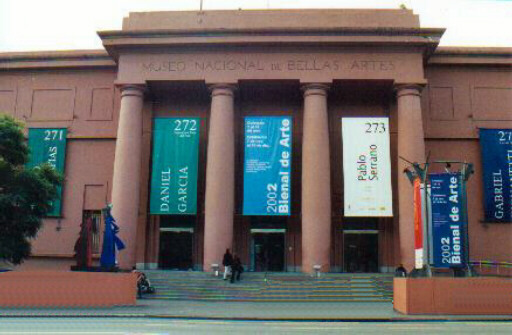 In addition to a permanent collection that includes Frida Kahlo, Xul Solar, Diego Rivera and Guillermo Kuitca, the cavernous museum has also had traveling shows by Lichtenstein, Stella and Warhol. Afterward, head next door to the Museo Renault (Alcorta 3399; 54-11-4802-9626; www.mrenault.com.ar) for one of the city’s best martinis and one of the city’s weirder new trends: car-branded bars. Audi, Ferrari, Maserati and Mini Cooper have opened up their own boîtes nearby. In the shopping-friendly district of Palermo Soho, La Cabrera (Cabrera 5099; 54-11-4831-7002) is a French bistro that takes Argentina’s amazing steaks in a new direction. The chef, Gastón Rivera, serves classic beef cuts like juicy ojo de bife (30.50 pesos), but serves it alongside an impressive array of untraditional side dishes including mashed pumpkin with raisins, beet purée and baked pearl onions in red wine. Arrive early to take advantage of the free champagne at the sidewalk waiting area, while you listen to tango-themed electronica music and watch the beautiful crowd of jet-setting locals and trendy visitors. If you’re looking to dance, head to the consistently trendy Niceto Club (Niceto Vega 5510; 54-11-4779-9396; www.nicetoclub.com), a multistory venue on an industrial strip lined with auto repair shops. Local bands like Los Alamos and the French Kid Loco play before midnight; afterward, D.J.’s play psychedelic trance and dance music. The crowd peaks around 3 a.m. If you prefer places that get going before 1 a.m., head to Mundo Bizarro(Serrano 1222; 54-11-4773-1967; www.mundobizarrobar.com), a night-life mainstay decorated with 50s pinup posters and a stripper pole. For other hot clubs, check out WhatsUpBuenosAires.com (bilingual) and BuenosAliens.com (Spanish). For a break from the careering colectivo buses and bumblebee-colored cabs, go to Parque Tres de Febrero (also known as the Bosques de Palermo) on the city’s northern edge. The 965-acre park fills on weekends with runners, cyclists, sun worshipers and the odd club kid unwilling to let Saturday end. Stroll past the placid lake, the whiffle ball-shaped planetarium and the Rosedal garden, which has about 12,000 roses. Those club kids are heading to Arkos (Avenida Casares and Avenida Sarmiento; 54-11-4804-2512; www.clubarkos.com.ar) an after-hours party inside the park that starts Sundays at 7 a.m.
Sunday brunch at Olsen (Gorriti 5870; 54-11-4776-7677; prix fix, with champagne, 27 to 39 pesos) has become a mainstay of expatriates, filmmakers and wealthy Argentines by offering two Buenos Aires rarities: brunch and ethnic food. The décor is pure Scandinavia, with curvy plywood furniture and 60 types of vodkas. Dishes include herring and smoked salmon with Argentine bondiola (pork tenderloin). Call ahead to get an outdoor table on the heated deck, or on the couches around the fireplace (avoid the frenetic tables near the kitchen). In a concession to Argentines’ overheated night life, brunch goes on until 8 p.m. Many major American and Latin American airlines fly to Ezeiza International Airport near Buenos Aires from Kennedy Airport in New York. A recent Web search showed round-trip fares starting at around $900. The 20-mile taxi ride to the city’s center runs about 60 pesos. 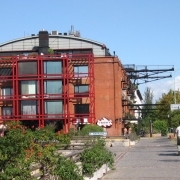 The Art Hotel (Azcuenaga 1268; 54-11-4821-4744; www.arthotel.com.ar), opened in 2004, was among the city’s first boutique hotels. The 36 rooms are housed above an art gallery in exclusive Recoleta. Room rates, quoted in United States dollars, start at $65. The Scandinavian-style Home Hotel (Honduras 5860; 54-11-4778-1008; www.homebuenosaires.com) has become a de rigueur stop for the Wallpaper* magazine set and the place where the rock groups U2 and Franz Ferdinand held concert after-parties. On summer Fridays, Tom Rixton, a co-owner and English record producer, spins what he calls “stupid party music for girls to dance to.” The 18 rooms start at $115. Palacio Duhau-Park Hyatt Buenos Aires (Avenida Alvear 1661; 54-11-5171-1234; www.buenosaires.park.hyatt.com), opened in July 2006, has 164 rooms split between the renovated 1934 Duhau family mansion and a recent wing. Rooms start at around $370. 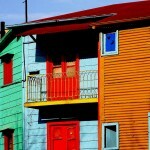 Last year I rented an apartment in buenos aires and I felt as if 2 weeks were not enough for this city. 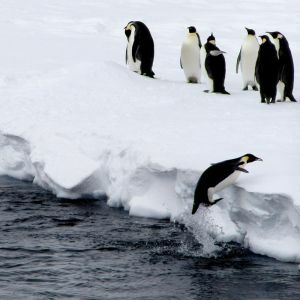 I will go back! It was cama but not cama suite. So it reclined quite a bit, but it did not fold down cleloetmpy to 180 degrees. I had one of those a couple years ago when I went to Mendoza.I slept pretty well actually.Puerto Madryn is not so resorty but definitely a tourist town. It’s just not too built up to be obnoxious and hopefully it stays that way The Travel Chica recently posted..